OpenCart provides an effective eCommerce platform that enables sellers to connect their products with their customers.The OpenCart integration for Linnworks (developed and supported by eBusiness Guru) is an application that is easy to configure, and allows sellers to manage their orders, inventory and pricing alongside their other sales channels. After orders are processed in Linnworks, the dispatch notification is automatically transfered to OpenCart. 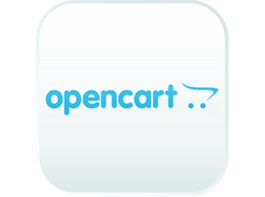 To use the OpenCart integration, you must first install it from within Linnworks.net. Select Settings in the left-hand menu bar. Select the Channel Integration option. Locate OpenCart on the list, and click Integrate. Click on the link at the bottom to review the OpenCart Connector’s Terms and Conditions first, then click Accept to move onto the next step of the integration. Enter your OpenCart account name to start the actual integration. After reading the Disclaimer, tick I agree to the terms and conditions and click Next to continue integrating. If you are not already logged in, you will be asked to log in with the login credentials of your Seller / Merchant Account. 1. On the left menu, expand the Extensions menu. 2. Click on Extension Installer. 3. Click on Upload to select the extension. (Notes: for download extension click here). If the extension successfully uploaded, you will see the list of files which is overwritten and the Continue button will be enabled. 4. Click Continue button to finish installation. 2. In Extensions page follow the steps below. 3. Select extension type (Feeds). 4. Install GSS API by clicking the + action button. 5. After successfully completing the installation click button to enable this API. 6. The screens below will open. Select status Enable and click Save. b. On clicking the + button, the below screens will open. i. Give the API Name as Linnworks. ii. Click on Generate to create the API Key. iv. Click on IP Address tab to add over IP to access OpenCart API. i.	Click on IP Address tab. ii. Click on + button to add the new IP. iii. Enter 52.91.17.49 and 202.131.103.122 IP. Copy and paste these into the Opencart integration API Settings. Select the order status, which type orders are to be downloaded in Linnworks from Opencart. To complete the integration, click Finish. Your OpenCart integration should now show in Linnworks Channel Integrations. 1)	In Linnworks.net, click Settings. 3)	Locate the OpenCart entry, and click the Configuration button. 4)	To Enable or Disable the Account, locate the Account section. 5)	If the Enabled option is unticked, the channel will not download or update orders, or provide inventory level updates. 6)	The Test button allows you to confirm there are no errors preventing Linnworks and OpenCart communicating. Contact EBG Support if Test Reports any errors. 7)	Click Save at the bottom of this window to apply any changes. 4)	In the Inventory section, the first entry is Update Inventory. If this is disabled, then Linnworks will not tell the listings on the OpenCart marketplace when Available Stock Levels change in Linnworks. If enabled, then Linnworks will provide these updates. 5)	Update Inventory only works where a listing has been Mapped to a Linnworks Inventory item. See the end of this document for more information on Mapping. 6)	The Price Change feature allows Linnworks to send new prices directly to the listing when they are correctly imported or updated. Note that Price Change only works where a listing has been Mapped to a Linnworks Inventory item. See the end of this document for more information on Price Change and Mapping. 7)	Max Listed allows you to filter the highest quantity that Linnworks can/will send to the listings on OpenCart. If Max Listed is set to 50, and your Available Stock moves from 30 to 60, Linnworks can only send 50, and this will not change until the Available Stock level drops below 50. 8)	Stock Percentage acts in a similar fashion, but only updates the listings with the specified percentage of your actual Available Stock level. 9)	End When allows you to set a ‘false zero’ for the channel. This means it will send Out of Stock when the available stock reaches the value set in this value. 10)	Click Save at the bottom of this window to apply any changes. Linnworks.net periodically checks the channel for the current listings you have on the channel, their titles and SKUs, so that the Mapping Tool can be used correctly. It can be triggered manually, should you have made changes directly on the channel and outside of Linnworks. 4)	In the Listings section, the information reflects the information Linnworks currently has about your listed items on the OpenCart marketplace. 5)	If there is a tick by Listing Download in Progress, Linnworks is downloading the current listings, and cannot be interrupted. 6)	The Listing Download Start Time value is the time the last download/update was started. 7)	The Last Listing Download Completion Time value tells you the last successful download completed and was imported into Linnworks. 8)	The Listing Download Estimated Completion reflects Linnworks’ best estimate of when the most recent or current download should complete.The Download Listings button instructs Linnworks to retrieve the latest listing information, and ticks the Listing Download in Progress box. This can only be used once every 4 hours maximum, and will warn you if you try to use it more frequently. 9)	Click Save at the bottom of this window to apply any changes. This section reflects activities affecting the Linnworks Order Sync on your OpenCart channel integration. Linnworks downloads orders from OpenCart with the status Shipping in Progress. 4)	In the Order section, there are two options. Dispatch Notes, when enabled, allows Linnworks to send information about orders that have been Processed in Linnworks. Orders that are Processed in Linnworks are updated to the status Manifested on OpenCart. The Order Sync Date reflects the date and time of the last successful order download and update for the OpenCart channel integration. 5)	Click Save at the bottom of this window to apply any changes. These settings are used to enable Linnworks and your OpenCart account to connect, and are covered in Step 1. Click Save at the bottom of this window to apply any changes. Linnworks uses the Mapping Tool to ensure that it knows which SKUs in its inventory are connected to which listings on OpenCart. As such, you should ensure that all of your listings are mapped correctly, or stock levels and prices will not update correctly, and orders may not be picked accurately. 3)	Locate the OpenCart entry, and click the Mapping button. This screen is divided into two sections. On the left are the listings Linnworks is aware of on your OpenCart Channel. If this is not correct, or a change is missing, you should see the Download Listings button in the Listings section of the Channel Configuration. On the right is a Linnworks Inventory Search Tool. Each has its own Search box. On the left is the listing Linnworks is aware of on your OpenCart Channel. If this is not correct, or a change is missing, you should see the Download Listings button in the Listings section of the Channel Configuration. On the right is a Linnworks Inventory Search Tool. Each has its own Search box. In the bottom left hand corner of the window is a status section. It shows the Total Number of Listings on the channel, and then beside it the Unlinked and Linked numbers – Linked listings are connected to a Linnworks Inventory item to allow updates and recognition, Unlinked are not. Ideally there should be no Unlinked listings. If the SKUs in your inventory match the SKUs used on the listings, Linnworks can link them all for you. 1)	Click the Settings button (in the top left hand corner with a cog/gear on it). 2)	Select Link All By. 4)	Linnworks will map all those listings that have a SKU which matches a SKU in the Linnworks Inventory. 5)	Check the Linked and Unlinked values once this is complete. If the SKUs in your inventory do not match the SKUs used on the listings, you can make the link manually. 1)	Use the left hand list and Search to find the listing to be linked. 2)	Click on it to highlight and select it. 3)	In the right hand list, use the Search box to find the correct Linnworks Inventory item to link it to. 4)	Click the Link button beside it with the listing highlighted. 5)	Repeat for other listings to be linked manually. If there are no SKUs in your inventory match to the SKUs on the listings, you can ask Linnworks to create basic Inventory items for you, and link them. 3)	A new item will be created in the Linnworks inventory using the Name, Price and Stock Level, as well as the SKU from the listing. This will be linked to the SKU. 4)	This can be updated with other information later in the Inventory. 5)	Repeat this for other Listings that have no Linnworks inventory equivalent. Price Change only works for listings that are correctly linked to a Linnworks Inventory item in the Mapping Tool. 4)	Use Search to locate the Inventory item that requires a Price Change on OpenCart. 5)	Click on the SKU to edit the item. 6)	Click on the Listing descriptions tab. 7)	Under the Product pricing by Channel section, click on Add New. 8)	Enter the Source as OpenCart. 9)	Enter the SubSource as the name of the OpenCart channel. 11) Click on + Add to complete. 12) If there is already an entry present for the correct Source and SubSource, double click the Price to edit it, and then click Enter. 13) Close the SKU window when you have finished. 4)	Locate the Location Mapping button, and click on it. 5)	This opens the Location Mapping window. 6)	The first option is the Order Download location. This is initially Default, but can be changed. Click on the drop-down list and select which inventory/fulfillment location will initially receive the orders from the OpenCart integration. 7)	Under Inventory Sync Locations, you control which Linnworks Inventory locations are used to calculate the Available Stock values for your OpenCart listings. 8)	If you have only the Default location, this can be ignored, with Default left enabled. 9)	If you have multiple Inventory Locations, you can switch off locations (slide the switch to the left) that you don’t want to be included in the stock numbers on the listings. Click Save when you have finished to update Linnworks. You should also click Save at the bottom of the configuration window to apply any changes. Once orders are processed in Linnworks, the postal service name and tracking number transfer to that order's Order History in OpenCart. Your screen should display as below. 3)	Locate the OpenCart entry, and click the Payment Method button. 4)	This opens the Edit Payment Methods window, the list will initially be blank. 5)	When mapped, Linnworks will ensure the orders it downloads from OpenCart reflect correctly which payment methods/providers have been used on the site. 6)	Click Save at the bottom of the channel integration window to apply any changes. 1. Select the Channel Payment Method value, and select one of the Payment Methods from OpenCart that show in the drop-down list. 2. Click on the Linnworks Payment Method drop-down. Select the appropriate Linnworks Payment Method that should be used in Linnworks orders when they are downloaded, including the above payment method. 3. Click Add to save the mapping, and return to the list. 4. Repeat this for all of the OpenCart payment methods you wish to use. 5. Click Save at the bottom of the channel configuration window to apply any changes. The Stock Level must be greater than 0. The Default or specific Price must be greater than 0. 1. Once an OpenCartchannel is integrated in Linnworks, you can open the Apps button to show the currently installed Apps list as well as the Application Store entry. You can select the OpenCart Listing option to proceed. 2.1 Before starting product listing we have to add configurations. Click the Configurations button. 2.1.2	You will see a list of all currently available configurators. Name displays the name of the configurator. Templates displays the count of product listings created using this configurator. Clicking on it displays all of the products listed. Site displays the selected site name for this configurator. Category displays the selected listing category for individual products listed through the configurator. From here we can also change the category. Specification shows the number of specifics used by this configurator for listings. This is for single product listings. Variations displays the count of variation listings added to the channel using this configurator. This is used for variation product listings only. Show this checkbox lets you decide of this configurator will display in the listing screen or not. If the checkbox is not ticked, the configurator will not be displayed on the product listing page. To add a new configuration, click on the Add New button. Name: Enter/edit the Configurator name. Site: This drop-down field contains the OpenCartchannel account name or names (SubSource) from your Linnworks account. After completing and checking the fields click on the Save button. 2.1.4	For a single product listing, a newly created Configurator is added to the main screen, as below. It’s not compulsory to add a specification for a single product listing, but allows you to replicate the action for other products much more easily moving forwards. We start by adding a category to the newly created configurator. You can select and add multiple categories, by clicking the gear button, shown below. Tick the boxes for the categories you want this configurator to list products in. Select Save when finished. After creating a configurator, you should move to the listing inventory screen. Select site: This dropdown field contains all the integrated OpenCart accounts (Sub Sources) from your Linnworks account. You can select one of them. When you select a site, a product list is displayed with data for site selected. Search: Using this option, you can filter your displayed products by Category, SKU, Title and barcode. Before the SKU column, if you see a blank value, it means this product has no variation child products. If you see a symbol, this means the product is a Variation product, with child products. By clicking on the symbol you can see the child products as a list. SKU: This field displays the product’s unique identifier. Title: This field displays the product’s title. Barcode: This field displays the product’s barcode (UPC/EAN). Retail Price: This field displays retail price you have set for the product. Level: This field displays the physical stock level for the product in Linnworks. In Open Orders: This field displays a count of the number of this product sold from the contents of the Linnworks Open Orders screen. Only linked/mapped products are counted. Available: This field displays the stock available to sell in the Linnworks inventory (Shelf stock level less the items in Open Orders and paid for. Create Listing: This shows if the product has already been listed. This symbol indicates that this product has not been created/listed on the OpenCart channel. You can therefore list it using the Listing Tool. If it is a single product, then you can select the Create Single Listing option only. The other option(s) will be disabled. Clicking on the Create Single Listing option displays another list, containing the available configurators. You can select one by clicking on it. You will then proceed to the single item listing page. If it is a variation product, then you can select the Create Variation Listing option only. The other option(s) will be disabled. Clicking on the Create Variation Listing option displays another list, containing the available configurators. You can select one by clicking on it. You will then proceed to the variation listing page. This symbol (or similar) indicates that this product is already listed on the OpenCart channel. You can use the Edit Listing option only. You cannot list if an item has already been listed. SKU: Your Linnworks SKU will be used as the OpenCart listing SKU. Title: Initially, the Linnworks item title will be displayed in the Title Text box. You can make changes in this title according to your needs for the listing on OpenCart. Once the listing is completed here, the same Title will be recorded to use for future changes unless you edit it again. Note for Title: Use the following template to build your product names: Main brand + Sub-brand, family or product name + Up to 3 key attributes + Generic product type. Product Names must be clear and concise, and should also be descriptive of the product being sold. This template will help consumers identifying your product. Description: To add/edit the listing description, please click the button in that column. Click Save when finished. Fill the detail of description and click Save buttonl. The first time you list a product, the Description will be empty. Once the Description is entered and saved on this screen, and the listing is completed, the same description will be shown on re-entering this screen. After Saving, the description button will change from Empty to Filled. Retail Price: By Default, the Linnworks Retail Price will be displayed on this screen. Tags are Non-hierarchical keywords or terms assigned to each product in your feed. This metadata helps describe an item, and allows it to be categorised and found again by browsing or searching on OpenCart.com. Tags should be comma separated, but do NOT use commas within individual tags. The more tags you add, and the more accurate your tags, the better the chances our users will find your products. There is a maximum of 10 tags allowed per product, more than 10 means that the extra tags will be ignored. A popup screen with a text box for adding tags will be opened. Users can add maximum 10 tags with comma separated values. Once all tags are added, click on the Save button. This will save all of the tags in the item’s Extended Properties. After saving, the button label will be changed from Empty to Filled. The configurator name cannot be changed. It was set earlier in the process. If the listing status column is Yellow, with the text Not Listed, then you have not listed the item. Once the title, price, description and tags have been added/updated, click on the Create button. This will send the listing for creation on OpenCart. If the listing is successfully created on OpenCart, the status will be changed to Listed,and the colour will change to Green. The button label will also be changed to Update and the check box is ticked, to show that this product is enabled on the channel. Once the product is created, the URL column enables, so that you can access the listing from this screen. Clicking on the chain button in this field opens the OpenCart site with the product listing. The Configurator screen is now updated, as shown below. Now that the configurator has been used to list an item, the count is updated to reflect this change. SKU: Product SKU used when creating the listing on OpenCart using this configurator. Listed On: This field displays the date onwhich the product was created. For Variation item listing, as with single items listings, the user needs to add the following Extended Property to the Variation parent. Only variation parents with this Extended Property containing the correct Sub Source will be displayed for listing. You should also add an extra Extended Property for the price, this has the same name, but with ‘_price’ at the end, and contains the price you wish to charge. 2.1.1 Before starting a Variation product listing, we need to ensure there is a Variation-ready Configurator for it. We use the same Configurator screen as we do for single product listings. The main difference here is that we need to add variations into the configurator. Name: This drop-down contains all the options available for variation options on OpenCart. Extended Property: This dropdown contains the list of available Extended Properties from Linnworks. Default Value: You can add a value here that will be used if the parent/child being listed doesn’t have the correct Extended Property for the Variation. Click on the Save button, and the configurator screen will be updated with the count of 1 instead of 0. Using the configurator Variation, we can now almost perform a Variation Listing. Next, ensure the specified Extended Property is added to all of the child products for this variation in Linnworks. e.g. EBG1001 is a parent product, and has four child products. We therefore have to add the Extended Property Colour to all four children in Linnworks with different colours. If you specify more than one Variation field, you CAN have repeats, but only if no 2 products in the variation group have the same combination of the 2 values. We can now start variation product listing. SKU, Title, Description, Tags and Images are added as described for single listings. SKU:Your Linnworks SKU will be used as the OpenCart listing SKU. Main brand + Sub-brand, family or product name + Up to 3 key attributes + Generic product type. Product Names must be clear and concise, and should also be descriptive of the product being sold. This template will help consumers identifying your product. Description: For adding / editing the listing description, please click on the button in that column. Click Save when finished. By Default, the Linnworks Retail Price will be displayed on this screen. Please Note: Tags are Non-hierarchical keywords or terms assigned to each product in your feed. This metadata helps describe an item, and allows it to be categorised and found again by browsing or searching on OpenCart. A popup screen with a text box for adding tags will be opened. The user can add a maximum of 10 tags with comma separated values. Once all tags are added, click on theSave button. This will save all of the tags in the item’s Extended Properties. After saving, the button label will be changed from Empty to Filled. By clicking on the Variation button, you will see a list of the Child products for the variation, with the below details. •	SKU: Child product SKU. •	Title: Child product Title. •	Specific Name: If the Colour is specified in the configurator, for example, that will be the title. The child product’s Extended Property value is then display here. •	Quantity: This displays the stock level of the child product in Linnworks’ inventory. •	Price: This field displays the price of the child product. A +control displays thevalueof the parent product plus this price. This value is set in an Extended Property. If no Extended Property is specified for the Child, then just the default value is shown by the +. Once all details are entered, click on the Create button to create the listing. As with single listings, once the listing is created the status will changed to Listed, and the button label will become Update. The checkbox being checked means this product is visible on the channel. Once the listing is created, the URL column button is enabled. Clicking it opens the OpenCart page, and displays the listing you created. If you want to update the title, price, description, category, images or tags on OpenCart for a listing you have already created, use the Edit Listing option in the main inventory screen. Regardless of whether it is a single or variation listing, you’ll be directed to the correct options. You can then apply the new details to that product by clicking on the Update button. The last column contains a checkbox that controls the status of the listing on OpenCart. If checked, the product is active and visible to customers. If unchecked, it isn’t visible and can’t be purchased, regardless of the available stock level.